A curious mind can go far at Oak Ridge National Laboratory, as Ron Ott has learned over the course of a career ranging from materials research to organizational leadership. He now brings that deep well of technical expertise and collaborative thinking to his new role as manager of the Building Technologies Program at ORNL. Ott’s journey began more than 20 years ago when he came to ORNL to conduct doctoral research after earning a master’s degree in materials engineering from the University of Alabama at Birmingham. Ott’s doctoral work in materials research led to a full-time staff engineer position with ORNL in surface processing, mechanics, and materials processing, beginning in the tribology user center at HTML where he pioneered a unique Pulse Thermal Processing technology for thin-film and nanoparticle flexible electronics. As a staff researcher, Ott’s expertise in materials continued to gain notice, eventually enabling a move from technical work to management and operations. Since 2011, Ott has served as the deputy director of the Energy and Transportation Science Division (ETSD). 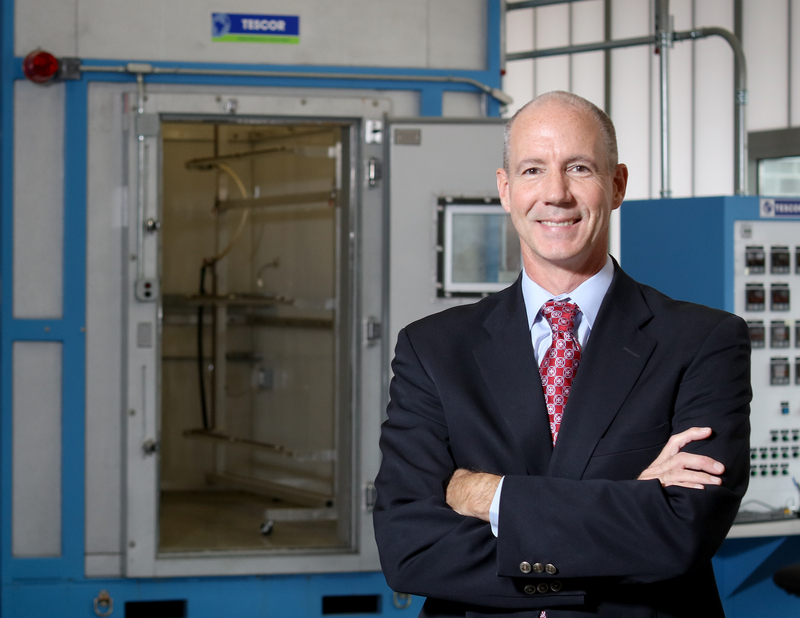 He’s also managed ORNL’s Remote Research Campus since 2014 and led research efforts for two years at the Carbon Fiber Technology Facility. Some of those opportunities include what Ott calls the next big thing: gas-fired appliances. Overlapping projects across divisions is all part of what Ott sees as a continued focus on synergy between programs. “On the combustion side of the house, for example at the National Transportation Research Center, we have staff who have worked in the modeling and combustion space for decades. These individuals can bring expertise to buildings projects immediately as far as trying to understand different pathways for refrigeration, cooling and heating,” he said. With EERE’s shift in focus to more early stage scientific research, Ott anticipates that knowledge in materials will be crucial. Looking back on his career path at ORNL, Ott sees clearly now how the knowledge he gained as a young researcher has proven invaluable to his current and future plans. Ott’s pattern of being able to look past the here and now and into the future extends not just to his professional life but also his personal life. When Ott isn’t at ORNL, he and his wife enjoy time on and off the tennis court with their two teenage sons—ages 17 and 16. The oldest will head to college soon to pursue a major in biology and chemistry, carrying on the family tradition of pursuing a science career.